A relatively young seminary, Knox seminary was founded by Dr. D. James Kennedy (of Coral Ridge Presbyterian Church fame) in 1989. The school was founded to train ministers, evangelists, and missionaries to fulfill the mandate of the Great Commission. While formerly associated with Coral Ridge Presbyterian Church, Knox became an independent institution in mid-2013. Knox is known for its commitment to train its students for practical ministry with focus on the tenets of the Reformed tradition. The MDiv degree is the flagship degree of Knox Seminary, where the focus is on the school's motto: "Christ-centered, gospel-driven, mission-focused." While the academic requirements of the Knox MDiv are keen, the focus at all times is on practical ministry - evangelism, preaching, missions. 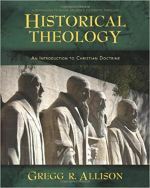 The MDiv curriculum reflects Knox's high view of Scripture and their conviction that the Bible is the fully inspired word of God. Students take several courses in Hebrew and Greek as well as applied exegesis. In addition to the MDiv program, Knox offers two MA programs - one in Christian and Classical studies, the other in Biblical and Theological studies. The MA programs are available either through traditional onsite enrollment or online delivery. The DMin (Doctor of Ministry) degree is also offered, with classes meeting in one week increments throughout the year. Because of its relatively small size, Knox Seminary does not have much to offer with respect to student facilities. 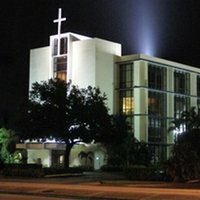 However, the seminary's location in South Florida affords many students an array of opportunities not seen in other areas, including year-round average temperatures of 77 degrees. Regarding the spiritual life, however, Knox takes the formation of its students spirituality very seriously and offers chapel services as well as prayer groups to help its students grow. In line with its evangelical and Reformed heritage, all students are required to affirm the words of the Apostles' Creed as a statement of faith. Knox Seminary does not provide housing to its students; however, the admissions office provides guidance for admitted students. Fortunately, the seminary itself is conveniently located to many apartment complexes and, given its proximity to Coral Ridge Presbyterian Church, many church members often rent room to seminary students. Housing is generally affordable and easy to find. Knox Seminary administers several scholarships through their financial aid office, as well as assisting students in finding suitable employment. The school also offers 1/3 matching tuition grants for students whose churches are able to contribute 1/3 of the cost of tuition.